Reuters reported late on Friday night that their reporter who broke the story about Democrat Beto O&apos;Rourke belonging to a hacker group had the story for two years and agreed to sit on it until after O&apos;Rourke&apos;s Senate race against Sen. Ted Cruz (R-TX). The report, published early on Friday, documented O&apos;Rourke&apos;s involvement in a hacker group named "Cult of the Dead Cow," and included multiple past writings from O&apos;Rourke, some of which were described as "disturbing." 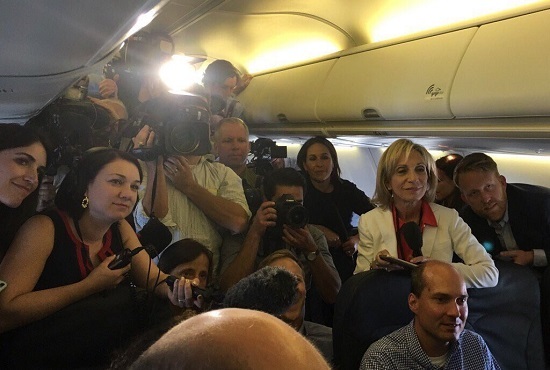 Monday morning the Center for Public Integrity released its 2016 campaign analysis showing journalists giving hundreds of thousands of dollars to Democratic presidential nominee Hillary Clinton. "Let me know if there are any issues with it, but the donations from Steyer and Wyss are a matter of public record. I’m not mentioning the contract Podesta had with Wyss because you never got back to me on that, and I didn’t want to mention it without getting some sort of response in advance. And the story will run tomorrow if it makes A1; otherwise it will hold." "We have had her tee up stories for us before and have never been disappointed." In an interview with CNN, First Lady Michelle Obama thanks the media for their "support" and "kindness. "CNN reporter: "How&apos;s the family ready for this [the election]? It&apos;s going to be quite vicious, isn&apos;t it? How do you prepare for that?" 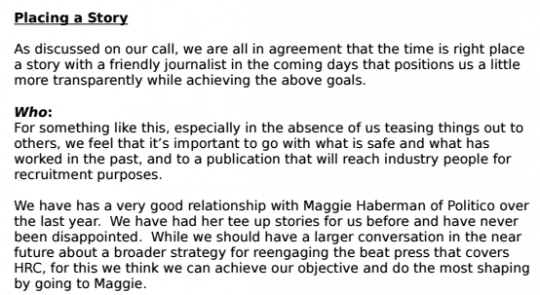 Jay Rockefeller: News organizations "are anxious and willing to receive guidance"
“She is going to read me the story later today off the record to further assure me,” Clinton campaign Communications Director Jennifer Palmieri wrote in an email to Podesta and other staff about New York Times‘ Maggie Haberman coordinating directly with the campaign to provide Clinton with favorable coverage.